We all hope that our children have a bright future. 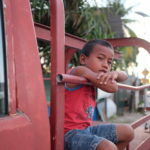 Our newest short film looks at how kids in Kiribati are facing the harsh realities of climate change. This is their story from their perspective. Suspended between a home they love, and a world they are only beginning to understand, they are facing these realities now and their story should remind us that they deserve a livable future. Kiribati is a low-lying island nation in the central Pacific Ocean, with an average elevation of just two metres above sea level. 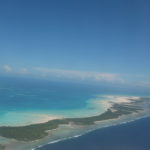 The capital island, South Tarawa, has individual islets more densely populated than Tokyo – with all the attendant infrastructural problems – but very limited wherewithal. From climate-exacerbated food poverty, poor diets paradoxically lead to youth malnutrition and adult obesity; dirty, brackish water leads to high infant mortality. As a result, considerations of mass migration suffuse the I-Kiribati consciousness. 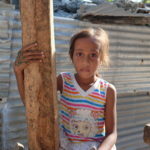 Though climate change affects us all, poverty is the strongest predictor of how deeply these consequences will be felt. 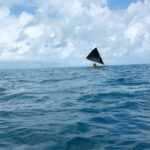 The negative effects will fall hardest on places like Kiribati – not simply because of its isolated and fragile geography, but because there are insufficient resources to defend against a newly inhospitable climate. Children should not be damned to poverty because of where they are born. 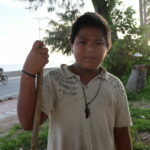 I-Kiribati children should have options and alternatives. With a photojournalist’s eye, a United Nations employee’s technical skills, and an activist’s passion, she has highlighted climate action in 140 countries – enjoying the challenge of translating complex scientific concepts into urgent, engaging, relatable content. She enjoys celebrating local communities and indigenous peoples around the world working to achieve the UN Sustainable Development Goals through nature-based actions. Climate change affects all of us, but with dramatic differences in severity. As I’ve traveled around the world and experienced the complex intersection of nature and poverty, it has shown me how imperative it is to constantly advocate for and highlight approaches centred on principles of justice and equity. We live on an incredible planet, and these problems are not beyond our capabilities. I believe we can create a fairer and more just world.